Vegan diets are becoming more popular than ever before, with a 140% increase in the demand for vegan-friendly foods observed in the year 2017 (1). While some people want to become vegan as part of a movement, others simply want to enjoy a plant-based diet due to the health concerns that have been associated with diets that include too many meat products. Whatever the reason, a vegan diet may hold a series of benefits for a person, but there are also risks to be assessed. With careful planning and by buying the right food products, however, it becomes much easier to follow a Vegan diet, experience all of the diet’s benefits, and avoid the risks associated with the diet. While it may sound simple enough to tell someone that all meat and animal-based products should be removed from their diet if they wish to become a Vegan, this does not provide adequate details to live a healthy life while following a Vegan diet. In this post, we are going to explore the Vegan diet, look at the potential health benefits the diet may offer, and we will consider what foods to add and exclude in the diet. What Exactly Is A Vegan Diet And What Are The Rules Of The Diet? A Vegan diet, followed by what is referred to as Vegans, consists of foods that have no relation to animals primarily. It is important to take note that a Vegan diet is not the same as a Vegetarian diet. In a Vegetarian diet, meat, fish, and poultry food items are excluded from a diet, but other animal-derived foods are still included. With a Vegan diet, however, all animal-derived products are removed – not only from a person’s diet but also their life. This is why Veganism is often referred to as a lifestyle instead of simply a diet. When a person follows a Vegan diet, they do not only remove meat, fish, and poultry from their diet. Eggs, dairy, and all other food items that contain any type of animal-derived ingredients are also excluded from their diet. In addition to these changes in diet, Vegans also tend to completely avoid the use of items that are made from animal-derivatives. An example would be leather – a material made from animal skin. Many people who decide to follow a Vegan diet are conscious about the environment. Not everyone follows all the rules imposed by Veganism – some people only adopt the diet part of this lifestyle in order to focus on plant-based foods in their diet. One particularly good thing about a Vegan diet is the fact that many scientific papers and research studies have looked at the effects of this particular diet in order to provide details of both benefits and potential risks. This ensures that people who might be interested in following a Vegan diet can make a more informed decision in terms of whether or not they would like to follow the diet. The Vegan diet has more scientific research behind it than a lot of the alternative diets out there – and it is generally easy to find evidence of the benefits associated with the diet. Vegans and vegetarians seem to be at a lower risk of gaining excessive weight to the point where they develop obesity. Studies have found that a Vegan diet may lead to a reduced risk of developing coronary artery disease, a condition that causes damage to arteries in the body. Some evidence has been shared that suggested Vegan diets could potentially reduce the risk of all cancers, compared to diets that include meat products. Veganism may also hold a lower risk for developing type 2 diabetes. The prevalence of eye cataracts seems to be lower in people who follow Vegan and Vegetarian diets. There also seems to be a lower risk of developing diverticular disease. Does The Vegan Diet Hold Any Risks? While there are many people who are living healthy lives on a Vegan diet, it should be noted that some risks have been associated with this type of diet. Any person interested in the diet should not only consider the potential benefits they may obtain from following the diet but also weigh the risks in their own situation in order to determine if becoming a Vegan is truly a good option for them. While these are all valid concerns, it should be noted that with appropriate planning before implementing a Vegan diet, all of these possible risks for nutritional deficiencies can be avoided. Lentils, beans, and peas, for example, contain high-quality plant-based proteins. There are also many vegetables that are high in calcium, such as cabbage, spring greens, kale, and broccoli. There are, however, some particular nutrients, with a focus on vitamin B12, that cannot be obtained from plant-based sources. This often causes concern amongst people who are thinking about turning Vegan. Fortunately, there are many foods on the market available that are fortified with essential nutrients – including vitamin B12. This particular vitamin is crucial for cellular growth and also plays an important role in maintaining a healthy and functioning nervous system. In addition to fortified foods, it is also possible to take supplements in order to ensure the body is able to gain access to all of these essential nutrients that are often considered a problem for people who follow a Vegan diet. There are many supplements on the market that can provide these particular nutrients, including some specialized Vegan supplements made specifically to target nutritional deficiencies among people who follow this diet. Studies have found that the phytates and lectins that are contained in Legumes may increase a person’s risk of developing leaky gut and other types of intestinal problems (4). With a balanced diet that does not include too many legumes, this may be avoidable. The issue here is, however, that legumes play an important role in a Vegan diet as they provide plant-based protein. For many people who follow a Vegan diet, soy plays a role in providing them with adequate levels of protein. Unfortunately, most soy products on the market today are highly processed. This, in turn, can lead to a disruption in the endocrine system. The result may be an imbalance in important hormones that the body depend on to function normally (5). Some plant-based foods contain phytic acid, a compound that has been linked to possible inhibition of the body’s ability to properly absorb the mineral zinc. Since zinc is already a concern in terms of nutritional deficiencies in Vegans, the phytic acid content in plant-based foods make this an even more concerning factor. Many of the foods that Vegans have to turn to in order to obtain adequate amounts of protein are known to be high in carbohydrates. Without thorough planning of such a diet, there is a risk that a person may consume an excessive amount of carbohydrates. In turn, this may contribute to a dysregulation of blood sugar levels, as well as the development of non-alcoholic fatty liver disease. Now that we have looked at both the benefits and the risks of a Vegan diet, we should take a look at the specific foods that can be included in this type of diet. By being thoroughly educated on the specific foods that can form part of a Vegan diet, appropriate planning can be done before implementing the diet. This, in turn, can help a person significantly reduce their risks when they become Vegan and may even increase the benefits that they experience on a diet. Vegetables and fruits should make up a major part of a Vegan diet. Both fruits and vegetables are known to be high in fiber, as well as important nutrients that the body needs to function and stay healthy. Many vegetables are also high in plant-based proteins. The good thing here is that there are no restrictions in terms of this particular category in a Vegan diet, but it should be noted that a variety of fruits and vegetables should ideally be included. Whole grains also form part of a Vegan diet. This may include pasta, brown rice, oats, rye, wild rice, spelt, whole wheat bread options, barley, bulgur, and quinoa. Seeds and nuts should also be part of this diet. Good nut options to opt for include cashews, hazelnuts, pistachios, almonds, and macadamia nuts. Seeds may include sesame seeds, flaxseeds, chia seeds, and sunflower seeds. Legumes offer an excellent source of quality plant-based proteins. 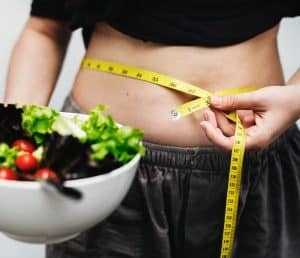 While many people are turning toward plant-based and Vegan diets to lose weight and live a healthier life in general, it can be daunting during the early stages for many of these people. There are numerous food items on the market that contain animal-based ingredients that may seem “hidden.” Understanding the specific foods to include in the diet, which foods should be avoided, and how to shop for food when following a Vegan diet is crucial.